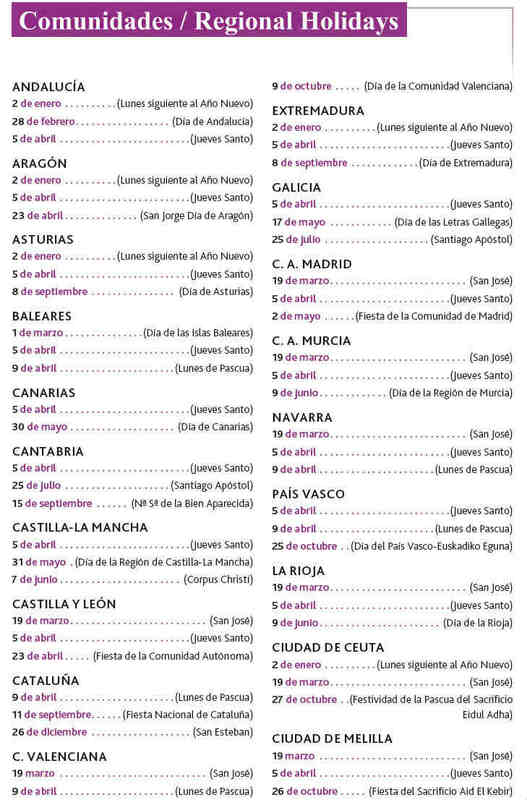 A list of Spanish holidays (National, Regional and Local Bank holidays) is always a useful tool. No matter if you are visiting Spain for business or leisure, you might need to know your destination's local holidays. The Official Calendars are published every year by the Central andLocal Governments. So, whenever I needed a COMPLETE list of ALL Spanish Bank holidays I used to spend hours looking for an up-to-date one on the internet. That is why I thought that I should save you some time. Just right click on the yellow sticky above and you are done. In addition, there are the following Regional Holidays plus Local Holidays. 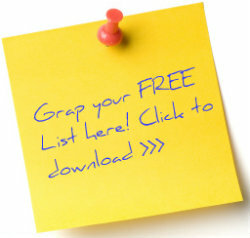 You will find the latter one in the downloadable file above! More useful information coming soon - Please bookmark this site!